Arthur Richmond, group finance director at SHS Group (right) with Lewis McCallan, head of relationship management (centre) and Geoff Sharpe, head of corporate at Danske Bank (left). Arthur Richmond, group finance director at SHS Group (left) with Lewis McCallan, head of relationship management (right) and Geoff Sharpe, head of corporate at Danske Bank (centre). 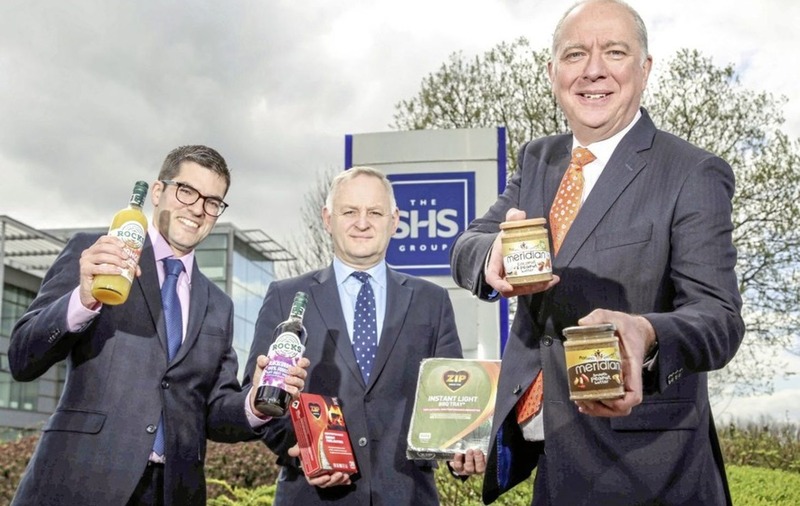 BELFAST-headquartered food and drink giant, SHS Group has confirmed two major acquisitions to add to its growing portfolio. The group, which already owns premium branded products such as Shloer, Bottlegreen, WKD and Merrydown Cider, has completed the purchases of Standard Brands UK Limited and 3V Group for undisclosed sums. 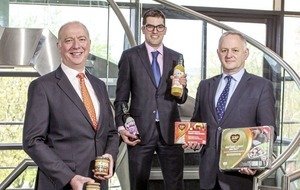 Standard Brands is the owner of firelighter brands Zip and Sunny Jim, while 3V Group is responsible for nut butter brand Meridian and soft drink producer Rocks. In addition to its extensive portfolio, the SHS Group is a market leader in the supply of own label herbs and spices in the UK and distribute over 100 blue chip FMCG (Fast-moving consumer goods) brands in the UK and Republic of Ireland. Established in 1975, SHS Group has a turnover of over £460 million and employs over 900 people across the UK and Ireland. Group finance director, Arthur Richmond said: “In the past seven months we have acquired two major UK brands, strengthening our brand portfolio and manufacturing capability. We continue to invest in bringing high-quality brands to consumers over a range of channels and geographies." The two acquisitions were supported financially by Danske Bank, who have also worked with the company to enhance their IT systems.